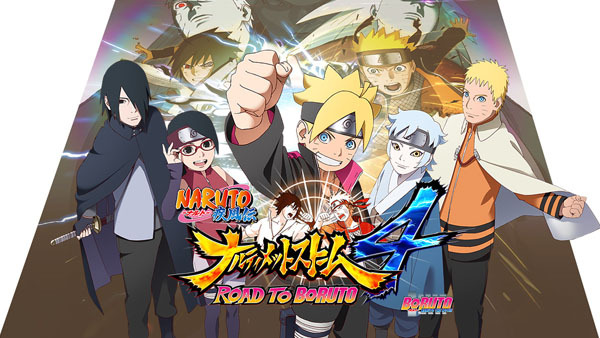 Current owners can just buy the "Road to Boruto" DLC. Bandai Namco has officially announced Naruto Shippuden: Ultimate Ninja Storm 4 – Road to Boruto following a reveal in Weekly Jump last week. The game, due out on February 2 in Japan, follows the story of Boruto, Naruto’s son, in a new generation of the Hidden Leave Village. First-print copies will include a download code for a Naruto Shippuden: Ultimate Ninja Storm 4 and Naruto Shippuden: Ultimate Ninja Storm 4 Road to Boruto special soundtrack. First-print copies of the package version will also include a reversible cover jacket. If you already own Naruto Shippuden: Ultimate Ninja Storm 4, you can purchase the “Road to Boruto” downloadable content for 2,411 yen. Naruto Shippuden: Ultimate Ninja Storm 4 Road to Boruto will exhibit Tokyo Game Show 2016 from September 15 to 18 with a playable demo and the first trailer. Bandai Namco also announced it plans to release a “Welcome Price! !” budget version of Naruto Shippuden: Ultimate Ninja Storm 4 in Japan on November 22. It will cost 3,800 yen. View the first “Road to Boruto” screenshots at the gallery.